It is our gallery's policy to represent the works of Austrian and international contemporary artists, whether these be established or as yet unknown. The works may range from a general pattern of sublimated realism to pure abstract or experimental forms. 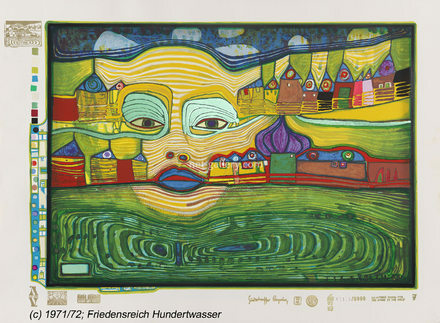 Friedensreich Hundertwasser has gained world-wide reputation with works of art such as Irinaland over the Balkans, Eyebalance Number Five, Columbus rainy day in India. His originals and graphics are puchased and sold throughout the world. Some of his works are very hard to find.